Paul Buzzard, Ph.D., is the director of conservation for the Detroit Zoological Society. 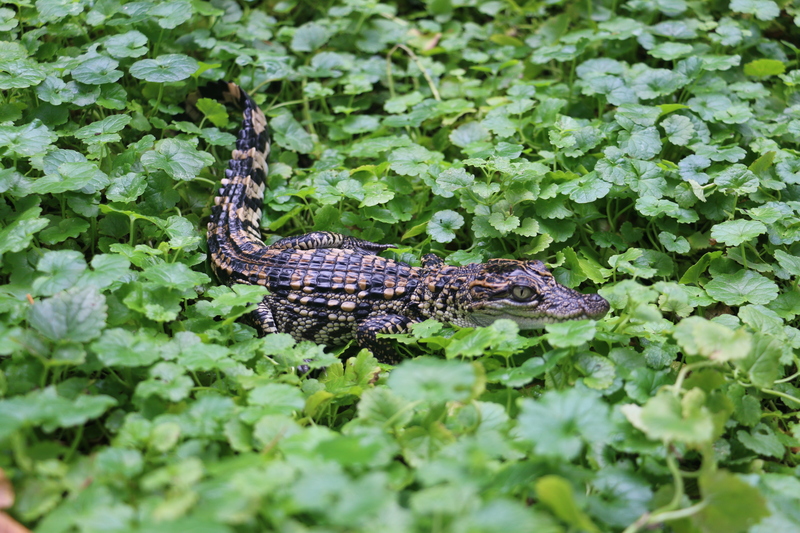 We are very happy to report that 10 Siamese crocodiles recently hatched at the Detroit Zoo and will soon be released into the wild in Cambodia. The Siamese crocodile is one of the most endangered species of crocodile in the world, and was thought to be functionally extinct in the wild until the year 2000, when a small population was found in the highlands of southwest Cambodia. Now a total of around 250 Siamese crocodiles are believed to remain in three sub-populations. But it is still necessary to bolster the wild population so it can be sustainable into the future. With Siamese crocodiles at zoos, there is sometimes a concern that there has been previous mating with other crocodile species, but genetic testing of the Siamese crocodiles at the Detroit Zoo confirmed that they are genetically pure and could be included in the Siamese Crocodile Species Survival Plan (SSP). An SSP is a program of the Association of Zoos and Aquariums, which strives to manage and conserve species populations in zoos and aquariums to ensure the sustainability of healthy, genetically diverse, and demographically diverse populations. When suitable areas are available within the natural habitat of a species, individuals from SSP programs can sometimes be returned to the wild. 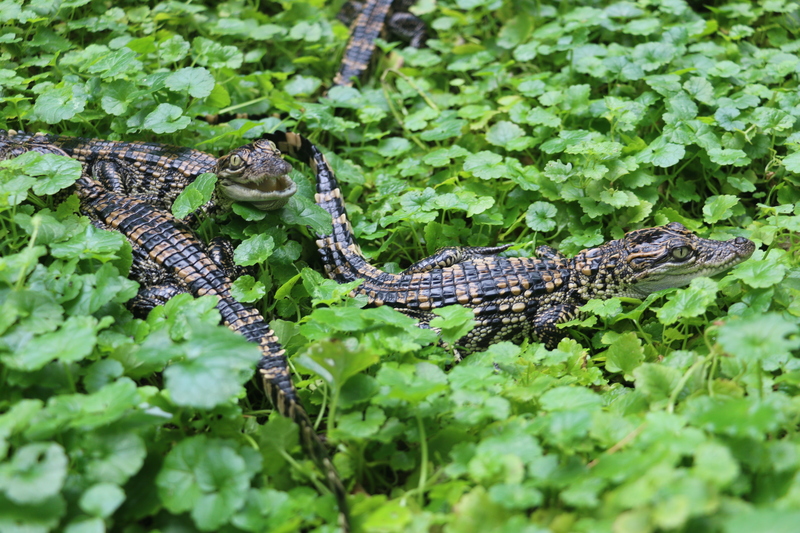 The young crocodiles from the Detroit Zoo will be raised for several months by an adult crocodile pair at the St. Augustine Alligator Farm Zoological Park in Florida while permits are arranged for them to be released into protected areas of Cambodia. Beth Wallace is the manager of sustainability for the Detroit Zoological Society. Back-to-school time can be exciting but also stressful when you’re staring down the lists of needed school supplies. According to the 2014 Google report card, back-to-school is now the second-largest retail event of the year. When making our purchases, several factors can come into play, like the latest trends or cost-saving, but now is the time to instill in our children – even college students – that sustainability should always play a key part in consumer decision-making. First and foremost, take stock in what you have from the previous school year and try to reuse supplies as much as possible. The most important part of this action is to communicate with your kids about why it is important to reuse as much as possible. It not only saves your family money, but you’re helping consume less, which helps to protect the environment. Also consider donating any unwanted, lightly used school gear and/or winter wear to a local charity or school that accepts materials for the upcoming school year. Pack a sustainable lunch that focuses on reusable options. Check out the Detroit Zoological Society’s ZooperHero waste-free lunch guide. If your home is not along the school bus route, or public transportation is not an option, consider setting up a car pool with other classroom parents or even a bike route. Encourage your school to take up composting or to create a certified habitat. The National Wildlife Federation has a great certification program that also provides how-to-guides. Please share your sustainable back-to-school photos in social media and tag @detroitzoo on Instagram, Facebook or Twitter. Since 2007, the Detroit Zoological Society has been working to restore the population of common terns on the Detroit River, and more recently on Lake St. Clair. 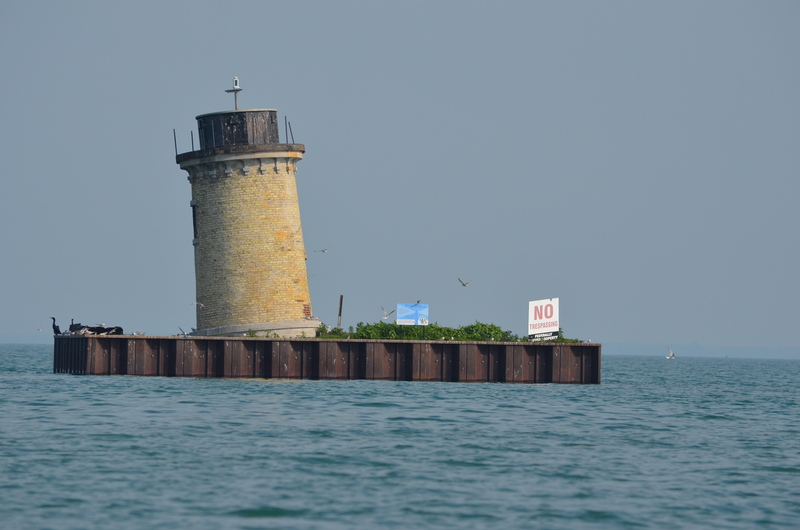 DZS staff monitor, improve and create suitable nesting habitats respectively on Grosse Ile, Belle Isle and the restored lighthouses on Lake St. Clair through a partnership with the Save Our South Channel Lights organization. 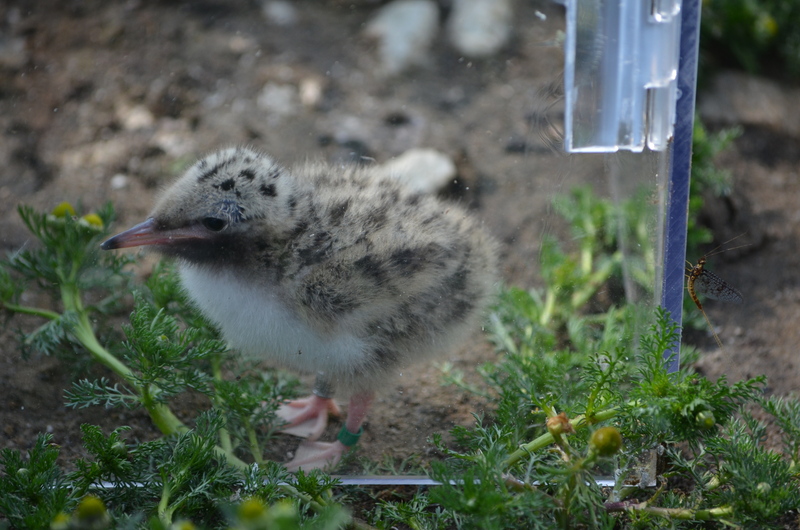 Each year, staff members also attach colored leg bands to common tern chicks to monitor their movements in the Great Lakes. In early July, several staff members successfully attached leg bands to more than 30 chicks at one of the lighthouses on Lake St. Clair. Gathering the flightless chicks is a hazardous time for staff as the adult terns swoop down to protect their young. Amid the squawking adult terns, DZS staff quickly and gently placed several chicks at a time into small holding corrals. Other staff then attached leg bands promptly and efficiently to avoid undue discomfort to the chicks. The chicks were then released close to where they were collected to avoid additional stress. A total of 118 chicks have been banded by DZS staff over the last two years. 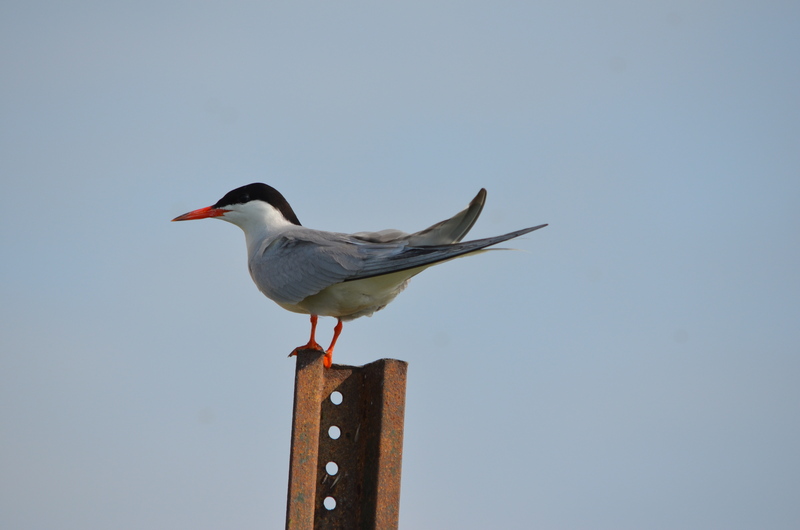 This year, with water levels especially high in the Great Lakes, some common tern nesting sites have been flooded out. Thus, the nesting sites at the Lake St. Clair lighthouse and also on Belle Isle are particularly important. DZS staff have improved the habitat at both of these areas by clearing vegetation and, in the case of the Belle Isle colony, establishing a predator-proof fence. So far this season, two common tern chicks have fledged (reached sub-adulthood) at Belle Isle. In addition, the first chick from Belle Isle was banded. In the past several years, only one common tern chick has fledged at Belle Isle. This year’s high water has also delayed the life cycles of many animals – including common terns – and more than 100 eggs still remained to hatch when we banded the first chicks on July 1. DZS staff will continue banding and monitoring to enhance common tern conservation. Earlier this month, the Detroit Zoological Society’s veterinary team had the opportunity to work with a wonderful group of seventh graders, as we helped them explore their interest in veterinary medicine. This was the second summer that we’ve worked with our talented education department to offer this very special Summer Safari Camp experience. During this particular weeklong camp, the students learn about zoo medicine in general, hear stories about the babies we’ve cared for in our nursery, and practice placing a bandage on a limb (of a stuffed animal). They also spend some time in our laboratory to see how blood, urine, feces and other samples can provide valuable information about an individual’s health. To put into practice what they learned during camp, we challenged the students with a weeklong (pretend) case involving a female otter. 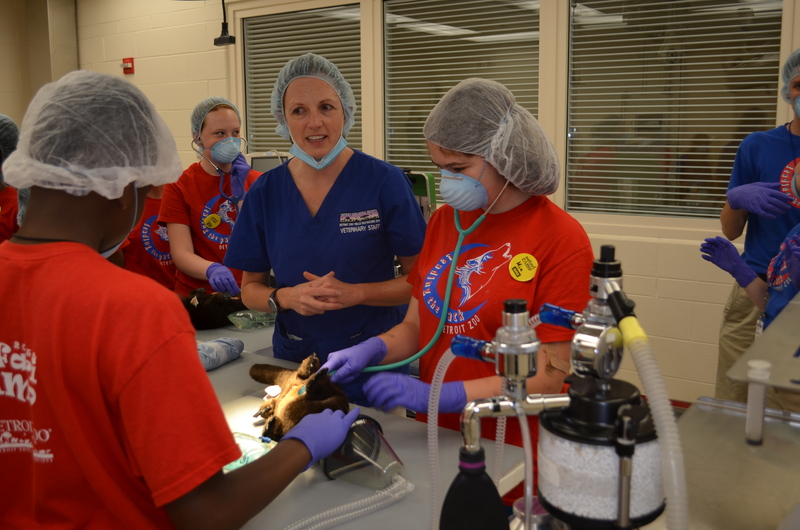 The students met with a zookeeper to gather a complete medical history, and then helped develop a diagnostic plan, interpreted bloodwork and radiographs and ultimately made the decision that the otter needed surgery. To prepare for “surgery”, the students practiced their surgical and suturing skills on bananas. 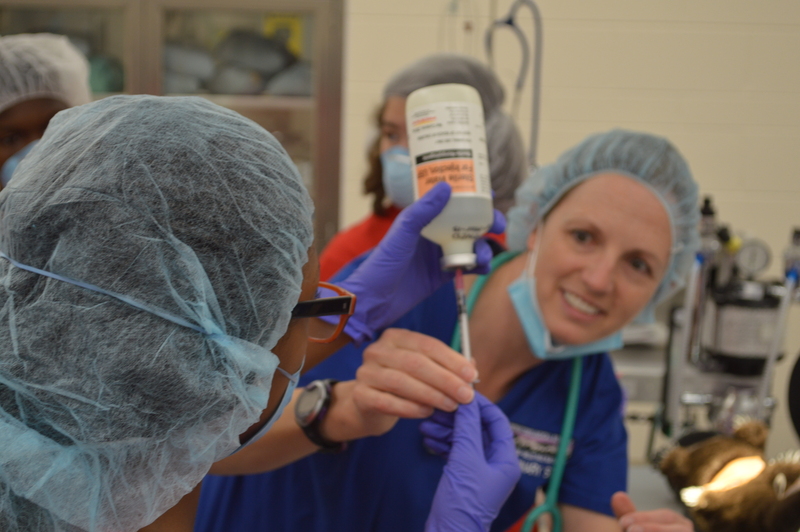 On the last day of camp, we invited the students to the surgical suite in the Ruth Roby Glancy Animal Health Complex. There, we showed them how they would prepare themselves and their patient for surgery and how to carefully handle surgical instruments. After our student surgeons made a delicate abdominal incision on our stuffed otter “patients”, each student was able to explore the abdomen to find a coin foreign body. Then, each student placed several sutures in both the deep “tissues” and “skin”, just like real surgeons!! And of course, all of the otters made a full recovery after their efforts. It was fun to work with the students throughout the week. They were very attentive and engaged during camp, and it was very rewarding to watch their curiosity and skills grow during their time at camp. Even if these students decide that veterinary medicine is not the career for them, I am confident that their interest in medicine and in providing the best care for animals will be lasting. Claire Lannoye-Hall is a curator of education for the Detroit Zoological Society. 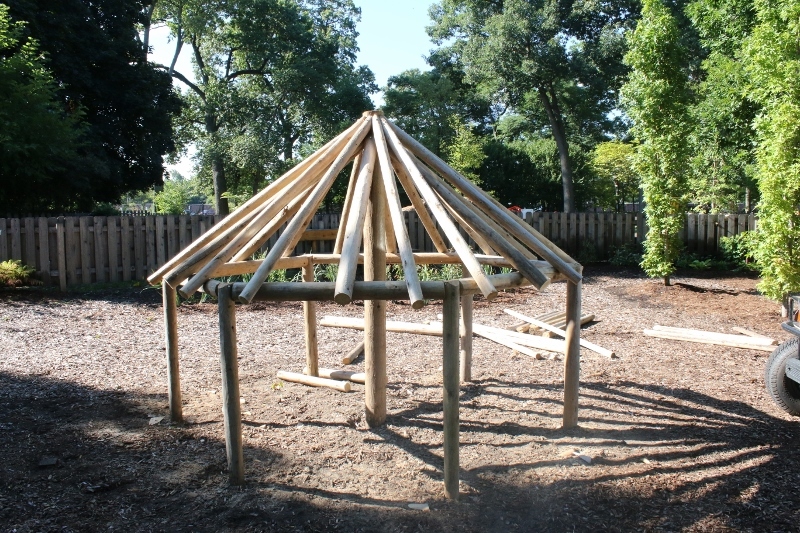 In a day and age when kids and families are spending more screen time than outdoor time, the Detroit Zoological Society is working on a project to create an outdoor space your kids won’t be able to pass up! The previous play areas at the Detroit Zoo were both retired over the past two years and a new play structure was installed in the Main Picnic Grove. 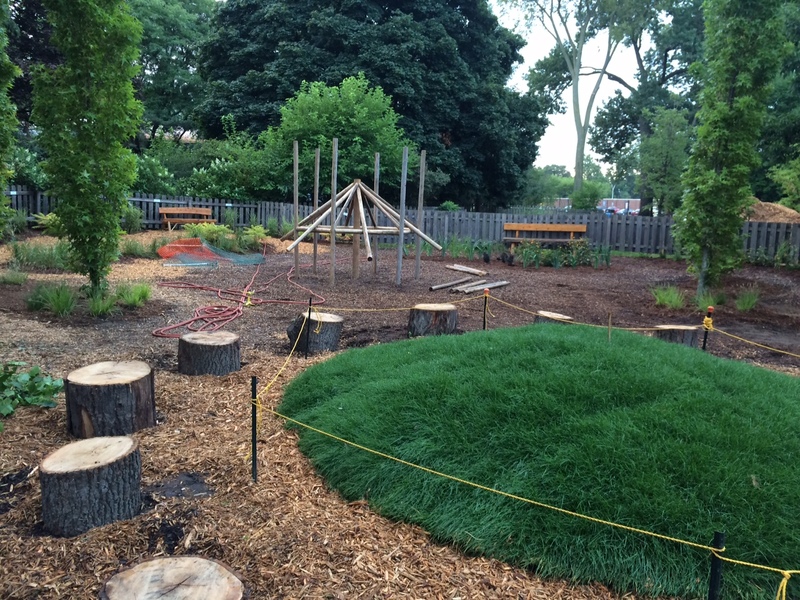 Our landscape team has done a tremendous job of enhancing and adding to the play area by landscaping with native plants and installing log steppers, toad stools and climbing rocks for kids to play on. The adventure will continue as we include more natural play opportunities in the area directly east of the play structure. Kids will be able to climb through a spider web, relax in a giant bird nest, crawl through animal burrows and engage in imaginative play throughout the area. Native flowers and trees provide shady spots and smaller pockets for kids to have quiet areas to play in while parents can still easily keep an eye on all the activity from the comfort of benches. We’re really excited about this new play space and we hope you’ll visit us early this fall to experience all it has to offer! One year ago this month, the metro Detroit area went through some of the worst flooding in recent history when a sudden storm dumped more than 4.5 inches of rain on the region, overwhelming sewer systems and causing an estimated $1.1 billion worth of damage. Heavy rains like this record-breaking event can have serious impacts on infrastructure – sewer overflows, pollution runoff and flooding. The Detroit Zoo experienced major flood damage during this storm, which forced us to close for a day as we evaluated systems and began cleanup efforts and repairs. It became apparent that we needed to find a better way to manage large rain events, so we started to incorporate a form of green infrastructure, called porous pavement, into major projects. Porous pavement is a material that encourages water to percolate through the surface into the ground for natural absorption. By incorporating this surface throughout the Zoo, we’re encouraging more natural absorption of water into the environment, which lessens our need for irrigation. It also prevents excess water from entering the Detroit sewer system. In addition, we have chosen a permeable surface that is light in color to reduce our urban heat island effect – a phenomenon whereby a warmer envelope of air exists over urbanized areas due to human activity – which will decrease ambient temperature to improve air quality and the health of nearby plants. 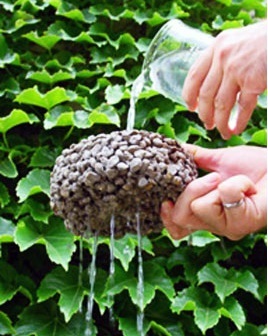 Porous pavement can be in the form of brick pavers, gravel, porous concrete or even recycled rubber or glass. 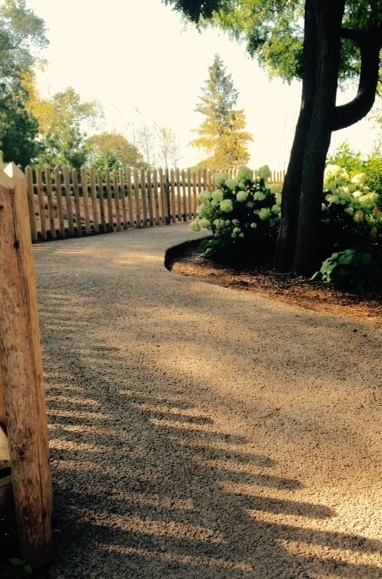 When you visit the new Cotton Family Wolf Wilderness, notice the colorful pathways of porous pavement. In addition, once the Polk Penguin Conservation Center opens in early 2016, the nearby parking lot will be made with porous material. Join us on this green journey – next time you consider resurfacing your driveway or pathways, consider this application to help lessen your impact on the environment. 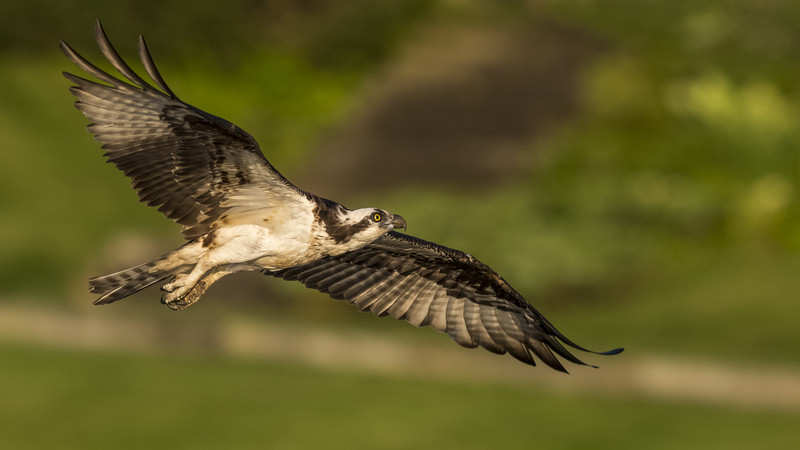 In 1998, the Detroit Zoological Society (DZS) started providing veterinary assistance as part of a collaborative effort to reintroduce ospreys, a fish-eating raptor, to southeastern Michigan. The Department of Natural Resources, Kensington Metropark, the DZS and DTE worked together to help this majestic species return to the area after being impacted by use of the pesticide DDT. Ospreys had historically been found in our area, but there were no known nesting pairs in southeast Michigan when the project was initiated. 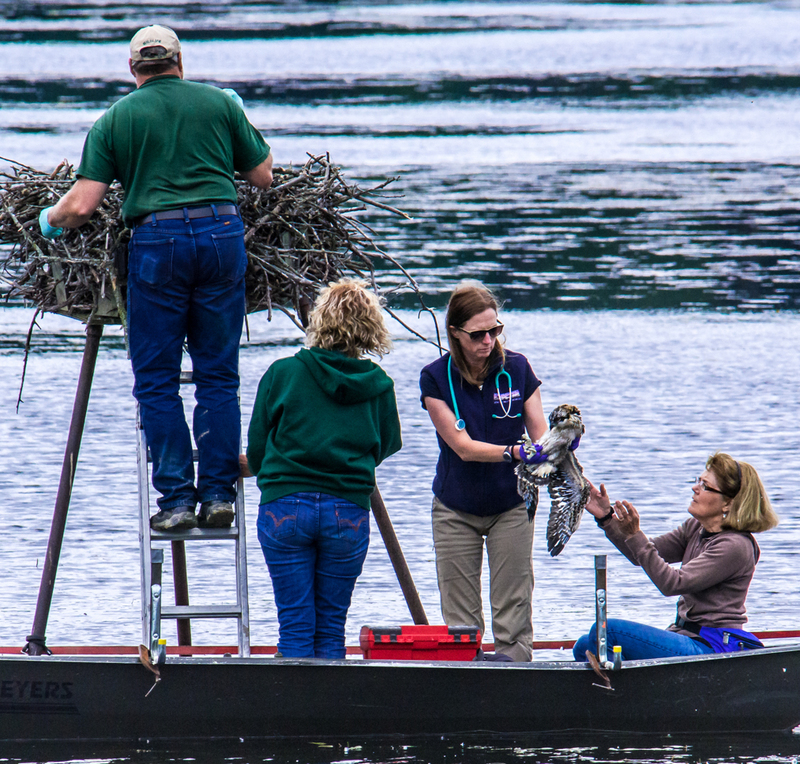 Between 1998 and 2007, osprey chicks were brought down from northern Michigan, raised in elevated platforms on lakes and released at Kensington Metropark, Berry County and Stony Creek Metropark. All chicks were banded so that they could be identified by a network of volunteers and biologists devoted to their monitoring and recovery. At the end of the summer, these chicks then migrated to their winter grounds in South America and, after reaching maturity returned to the place in southeastern Michigan where they fledged, or began flying and feeding on their own. The first chick returned in 2002, and numbers have increased steadily since that time. This year, there are more than 30 nesting pairs in southeast Michigan, most choosing to nest in cell towers. There is now a self-sustaining population of ospreys in the southern half of the Lower Peninsula. Beginning last year, funding was secured to fit a few of the chicks with backpack transmitters that send a GPS signal and allow the birds’ migration patterns to be tracked. The DZS was initially involved in helping to feed and care for the chicks in the towers; we spent time monitoring the chicks in their nests and providing food, nutritional supplements and veterinary care. Now that we are no longer moving osprey chicks from northern Michigan, our involvement is limited to conducting exams and collecting blood samples for health monitoring and gender determination of the chicks produced by our now resident ospreys. Over the years, the chicks have generally been incredibly healthy and robust. A few have been slightly dehydrated and some have had parasites, but none have had serious medical issues. It’s been incredibly rewarding to be a part of this successful reintroduction program. The biologists and volunteers involved in this effort are talented and dedicated to the success of this wonderful native Michigan bird.